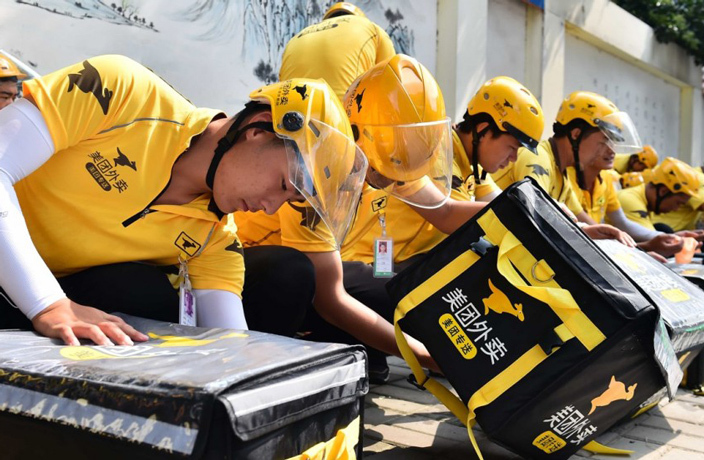 If you're intimidated by Chinese-language food delivery apps, you're not alone – after all, that's the raison d'etre for Sherpa's and Jinshisong in Beijing and Shanghai, as well as ShenzhenEat in, you guessed it, Shenzhen. But those apps and websites, as much as we love them, don't offer all the special deals, hole-in-the-wall restaurants and robust review systems available out there. If you're ready to dip your toes into the colossal market that is delivery food in China, read on. Most apps, such as E Le Me, Baidu Waimai and Koubei, follow similar formulas. In the following guide we'll go over how to register and order on the most popular food app out there: Meituan. As you navigate through the offerings, you may be surprised at how intuitive it feels – restaurants have photos for each dish, there's more than one payment option and, after all, this isn't rocket science. If you do find yourself in a pinch, try calling up your Chinese bestie and taking some notes. Or, if you're in hurry, there's apps for that. Also, to save yourself some trouble, before you begin first make sure you have 1) a working Chinese phone number and 2) a bank card or WeChat Pay. Click here to download Meituan (美团) on your phone. Similar to Dianping, another popular app owned by the same company, Meituan offers restaurant and movie recommendations, reviews and various discounts on everything from haircuts to cocktails. For now, steer to the 'Me' section and tap the words next to your profile picture. Next, either register at the top right using your phone number (enter in a verification code sent via text, then set your password) or sign in through WeChat (click the green button to allow Meituan to access your public information, then verify your phone number). Click the bottom option for 'other methods' of signing in: Weibo, QQ or an existing Meituan username and password. Just kidding. You still need to enter in more details before you can actually order food. The address, in fact, is the trickiest part of this whole process. Get this wrong, and you may soon be fielding calls from lost, confused and possibly upset deliverymen and women. First step: select the (Chinese) name of the specific apartment complex, building or school you're currently in. Enter the name into the search bar, or scan the provided map to find what you're looking for. Once you have it, specify the building number (if applicable) and room number in the blank below. You'll need Chinese for this part too. If you're not sure what building ('楼' and '栋' are commonly used terms) and room ('室,' '房') you need, consult your co-workers, classmates and/or building management office to confirm the details. If you get confused about order and punctuation, keep in mind that Chinese addresses are generally listed from broadest to most specific region, with no spaces or commas in between. For instance: [Guangdong province] [Shenzhen city] [Futian District] [Street name, number] [Apartment complex name] [Building number] [Room number]. You can add and edit addresses later, so don't worry too much if you mess up the first time. In the rare case that your building isn't listed in the app, never fear – there may be a workaround. On the map, select the building closest to you, and in the blank below, make your address as detailed as you can. You may get occasional calls from delivery guys, but as long as you can provide clear directions they should still be able to find you. If you simply can't pinpoint a place near you, try registering on a different delivery app, as coverage may vary slightly among various platforms. Congratulations, you've passed the biggest hurdle. Next up: finding out what places deliver to your door. Go back to the homepage (首页, see first step) and select the yellow icon with a kangaroo on it to order delivery, or 外卖. If you successfully entered your address in the last step, it should be visible at the top of the screen. Tap it to check your current address details, switch addresses, or add a new one by clicking '新增地址' at top right. From the delivery menu, you'll have the choice of a few options, as shown above. If you're looking for normal food, simply click the top left option, 美食. You'll be presented with an overwhelming list of places that deliver to you. Scroll down to inspect a few or narrow it down by using a few of the following tools. For instance, tap the bar at the top of the screen for a very long list of keywords. Here are translations for some of the more important ones. From the second drop down menu, you can also choose different variables to factor into your search. Once you've chosen a place, peruse the menu and tap whatever what you like. Most restaurants handily list their 'bestsellers' at the top of the list. You'll need to fill the minimum order amount before you can check out. When you're done, click the yellow button at bottom right. For online payments, input either your bank card number or use WeChat Pay. You can also add multiple bank cards to your Meituan account by opening the 'Me' pane and tapping the 'Wallet' icon (see step 1). After you're done paying, sit back and wait for your food to arrive! Similar to ordering a Didi, Meituan will show you once your purchase has been picked up by a delivery guy, as well as their route and phone number. If the estimated time of arrival has come and gone and you still haven't received your order, you can also try calling the restaurant. Even if you've exited the app, you can return to the restaurant's delivery page and select the 'Details' menu (see step 4). Tap the phone icon to get their number.